Education spending on public schools in Canada increased by $17.5 billion (37.7 percent) between 2005-06 and 2014-15, from $46.4 billion to $63.9 billion. 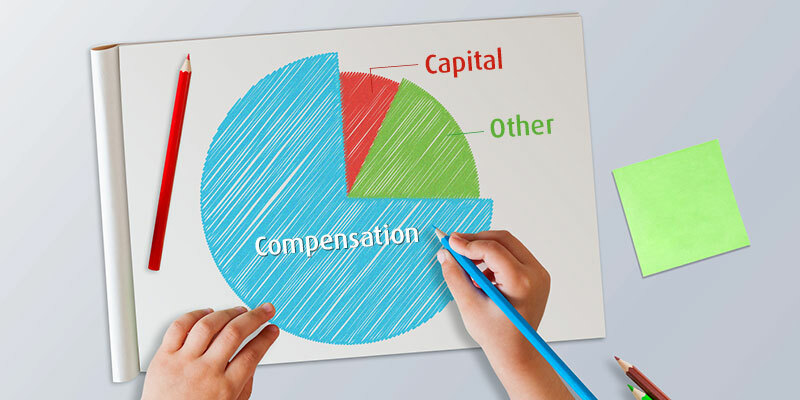 Compensation (salaries and wages, fringe benefits, and pensions) accounts for most of the increase, growing from $33.5 billion in 2005–06 to $47.2 billion in 2014–15. Salaries and wages increased by 36.1 percent, from $27.6 billion in 2005–06 to $37.5 billion in 2014–15. Fringe benefits increased 53.6 percent from $3.6 billion to $5.5 billion over the period. Teacher pension costs increased 77.8 percent from $2.4 billion in 2005–06 to $4.3 billion in 2014–15. Pension costs increased as a share of total education spending on public schools from 5.2 percent in 2005–06 to 6.7 percent in 2014–15. Capital spending increased 52.3 percent over this period, increasing from $3.3 billion to $5.1 billion in 2014–15. As a share of total education spending in public schools, capital spending increased from 7.2 percent in 2005–06 to 8.0 percent in 2014–15.